Our useful bottle openers make great party favors and promotional giveaways. 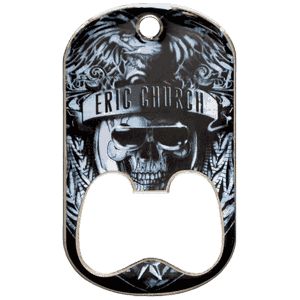 LogoTags produces bottle openers in a variety of styles, materials, colors, shapes, and sizes. We offer large credit card style bottle openers, wrench style bottle openers and smaller keychain style bottle openers. Get your logo and brand out there by ordering custom bottle openers from LogoTags today! 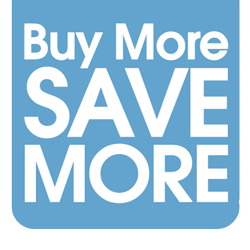 At LogoTags, we know that budgets for promotional products and marketing can be tight, which is why we don’t charge setup fees for most of our custom bottle openers! Time is a precious commodity! LogoTags takes care of the hard art stuff for you, free of charge. Provide us with your artwork, and our professional design team will create a digital mockup of your bottle opener for free. Unbeatable selection of custom novelty bottle openers at best value prices. Customize with your logo or design to create memorable promotional gifts and merchandise. As low as $0.30 per piece! High Volume Orders of 10,000 Pieces or More. If you need 10,000 or more custom bottle openers then you've come to the right place. Need them fast? Some of our styles can ship out in days. Looking for an inexpensive way to advertise your business? These custom keychain bottle openers will make great marketing tools for your upcoming event. These personalized credit card bottle openers are a sleek party favor that fits perfectly in your wallet or back pocket! See some of the different custom bottle openers we have produced for our customers. 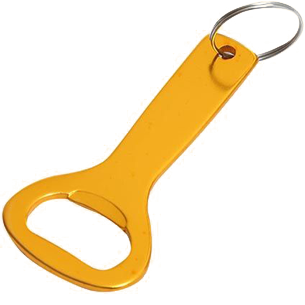 We have a wide variety of bottle opener attachments.